Get some cultural insight at Seurasaari Island and Open-Air Museum and Helsinki Cathedral. Rock Church and The Esplanadi Park will appeal to history buffs. You'll find plenty of places to visit near Helsinki: Nuuksio National Park (in Espoo) and Sipoonkorven Kansallispuisto (in Vantaa). 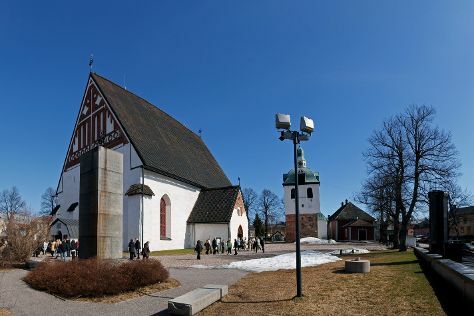 The adventure continues: learn about all things military at Sea Fortress Suomenlinna, examine the collection at Mannerheim Museum, contemplate in the serene atmosphere at Uspenskin Cathedral (Uspenskin Katedraali), and explore the world behind art at Kansallisgalleria. To see photos, traveler tips, ratings, and more tourist information, go to the Helsinki trip itinerary planner. Boston, USA to Helsinki is an approximately 12.5-hour flight. You can also do a combination of flight and ferry. The time zone difference when traveling from Boston to Helsinki is 7 hours. Traveling from Boston in July, things will get slightly colder in Helsinki: highs are around 71°F and lows about 55°F. Finish your sightseeing early on the 19th (Fri) so you can travel to Loviisa. Loviisa is a municipality and town of inhabitants on the southern coast of Finland. Start off your visit on the 20th (Sat): contemplate the long history of The Runeberg Home, contemplate the long history of Castle Hill, admire the striking features of Cathedral of Porvoo, shop like a local with Nasin Kartanon Galleria, then don't miss a visit to Porvoo Old Town, and finally pause for some serene contemplation at Loviisan kirkko. Get ready for a full day of sightseeing on the next day: contemplate the long history of Ungern and Rosen Fortresses, get some fabulous bargains at Brunberg Candy Factory Shop, tour the pleasant surroundings at Fredrika Runebergs Park, then see the interesting displays at Porvoo Museum/Holm House, and finally contemplate in the serene atmosphere at Orthodox Church Porvoo. 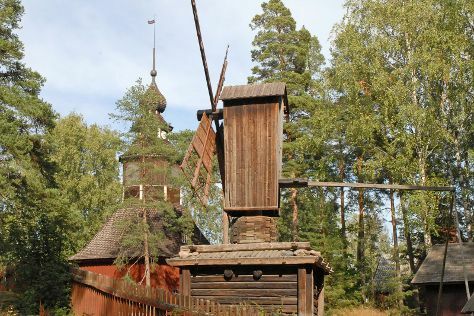 To see where to stay, ratings, reviews, and other tourist information, you can read our Loviisa trip itinerary maker tool . Drive from Helsinki to Loviisa in 1.5 hours. In July, daily temperatures in Loviisa can reach 70°F, while at night they dip to 55°F. Finish up your sightseeing early on the 21st (Sun) so you can travel to Rovaniemi. Take a break from the city and head to Korouoma Canyon and Luosto. You'll explore the less-touristy side of things at Feelapland and Church of Sodankyla. You'll find plenty of places to visit near Rovaniemi: Pyha-Luosto National Park (in Pyhatunturi) and Kopara Reindeer Park (in Luosto). There's lots more to do: Head underground at Syvasenvaara Fell, stroll the grounds of German Soldier s Cemetery, don't miss a visit to Lordi's Square, and see Santa Claus Office. For reviews, other places to visit, ratings, and tourist information, refer to the Rovaniemi journey planner. Explore your travel options from Loviisa to Rovaniemi with the Route module. In July, daytime highs in Rovaniemi are 67°F, while nighttime lows are 52°F. Wrap up your sightseeing by early afternoon on the 27th (Sat) to allow enough time to travel back home.